Service is at the heart of Loyola’s approach to learning not only because it contributes to your continuing education, but because it also reflects the Jesuit dedication to community. The Center for Community Service and Justice (CCSJ) engages students and the broader Loyola community in education through service for a just and equitable world. There are a multitude of reasons to get involved in service; some people come for humanitarian purposes, some come motivated by their faith, and some come because it’s part of their coursework. 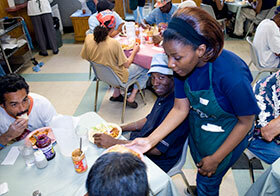 In fact, 80 percent of students participate in community service at Loyola! We base our service-learning on the PARE model (Preparation, Action, Reflection, and Evaluation) because it is through a thoughtful approach to serving the community that Loyola students make a positive and lasting impact on society. And society can make a lasting impact on our students. 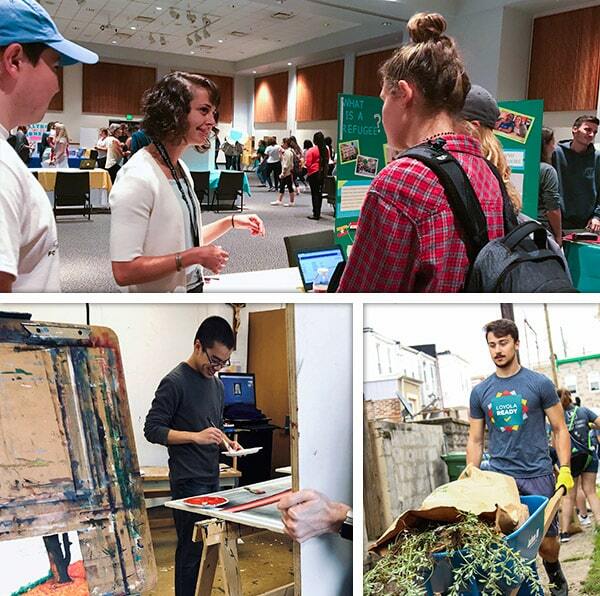 The Center for Community Service and Justice pairs students with service opportunities and organizations in the Baltimore region and far beyond, inspiring students to help create a more just and equitable world. We all strive for a just and equitable world. It's in our blood. And we're betting it's in yours, too.